Update: 04-01-2019 We are very aware of the current domestic situation with processing and debt collection services being shut off. We are actively taking on merchants. We currently have Domestic banks boarding collection merchants. We also have Multiple Offshore Options available depending on your situation. Online Check processing also available. Please fill out the contact form or call us. Note: We Specialize in placing High Risk Collection Agency and Credit Restoration Companies. Multiple underwriting banks available. Fill out the Quote form or Call us to get Started Today! We are happy to work with businesses large and small, established and brand-new, and can work out a contract that will meet your needs. We understand that when you are just starting out as a newly setup or a startup company, you need a service provider who can guide you through the coming challenges, explain in detail what your merchant agreement requires, and help you to avoid hidden costs and fees so that you get your store or other venture up and running smoothly. We also understand that older and established businesses have their own special needs – namely, the savings required to stay competitive in an ever-growing market. 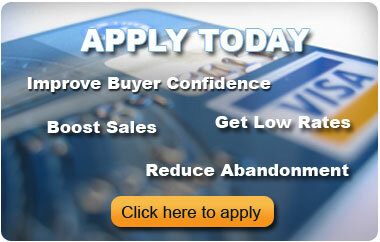 We have both domestic and offshore international credit card processors who are OK with your industry. Our service can help you secure lower rates than you are currently paying, and can get you set up with the equipment you need to continue processing transactions in an easy, secure way with a processing company that is friendly towards your industry and needs. Our service promises to assist merchants from all industries, both high risk and low risk. We have been successful at finding inexpensive, reliable card processing accounts for even the most difficult of ventures, including debt collection, consumer and commercial companies, bankruptcy attorneys, loan modification services, legal firms, foreclosure services, real estate companies, discharged account collection, payment provider, billing systems for agencies. We have multiple underwriting banks available to approve your debt repayment business. Of course, we can also find solutions for more small businesses like new or established, offshore, and others who require card-swipe services and maintain a low number of chargebacks.